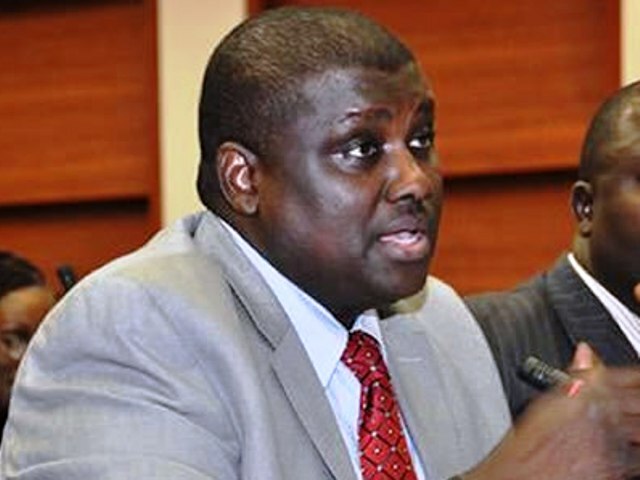 Former chairman of the defunct Presidential Task Team on Pension Reforms (PTTPR), Abdulrasheed Maina, has demanded for a 5% cut of the N1.6 trillion he allegedly recovered for the Federal Government. He made his demand in a new video exclusively obtained by Channels Television, and released on Wednesday, December 6, 2017. In the video, Maina, who's currently on the run from law enforcement agencies in the country, continued to maintain his innocence on the corruption claims against him. He said his controversial reinstatement was approved by the Office of the Head of Service of the Federation after he was cleared by several agencies including the Office of the Minister of Justice and Attorney General of the Federation, Abubakar Malami. He said, "Maina is a Deputy Director, whom the Minister of Justice as Chief Law Officer has cleared of all wrongdoings; the DSS has cleared me of all wrongdoings; the National Security Adviser (NSA) to the President has cleared me of all wrong doings; the Head of Service cleared me even the Special Assistant to the President on Public Prosecution has also said I had no case to answer. "Then, a small unit under the Ministry will come and start fighting me for N2.1bn. "Now, I want the federal government to pay me the 5% of N1.6 trillion as reward for the tip I gave them for the recovered loot. Remember, I gave the tip when I was not in office. "So, I want them to subtract the N2.1bn from the N80bn due to me for blowing the whistle on the recovered money and give me the balance." In October, Maina was recalled and promoted to head the Ministry of Interior's human resource department despite pending corruption charges against him. This was after he was dismissed by the Federal Civil Service Commission in 2013 following a recommendation by the Office of the Head of Service. In 2015, Maina was charged alongside former Head of Service, Steve Oronsaye, Osarenkhoe Afe and Fredrick Hamilton Global Services Limited before a Federal High Court on a 24-count charge bordering on procurement fraud and obtaining by false pretence through the award of fraudulent biometric contracts. ALSO READ: EFCC made allegations that Governors Forum laundered More Than N10B as court freezes 7 bank accounts. After he was declared wanted over an alleged N2 billion pension fraud, he fled abroad to the United Arab Emirates (UAE), evading the capture of the Economic and Financial Crimes Commission (EFCC). AGF Malami; Minister of Interior, Abdulrahman Dambazau; the Permanent Secretary, Ministry of Interior, Abubakar Magaji; and Head of Service, Mrs Winifred Oyo-Ita, have all been implicated in the scandal.